The challenges and key objectives: The main challenge was to design a home-brewed beer that would look credible by a mainstream producer. The product must have a strong shelf impact and also due to low marketing support it should link to old home-brewing traditions and tell a story on it’s own. Strict limitations: use recycled beer bottle and label cuts. Together with the client we decided to remove original producer logo from the label to look more authentic and credible. 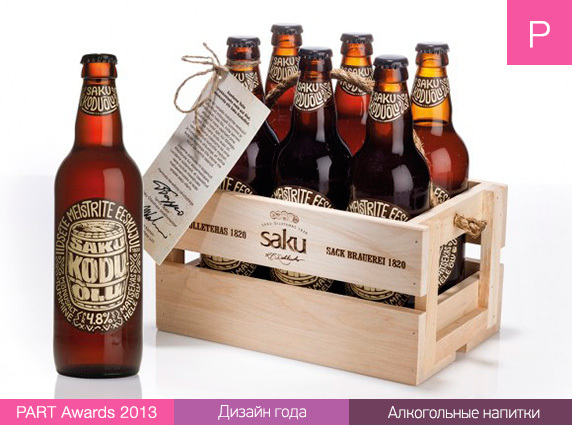 Instead of the corporate logo we designed a traditional beer barrel combined with producer’s and product name. This element combined with patterns / symbols from traditional wooden beer mugs and hand drawn lettering gave us the desired look. 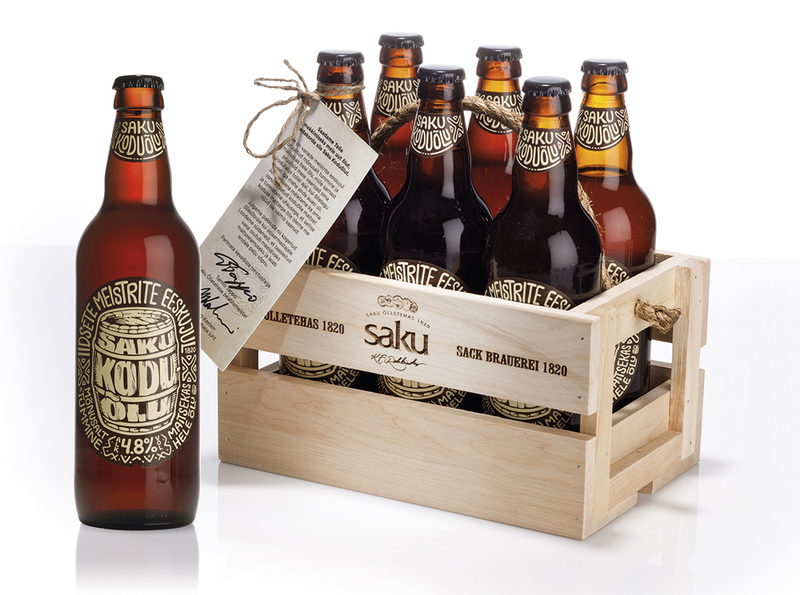 We launched the product in wooden six-packs to emphasise self-made feeling and look. The outcome: The whole first patch of the product was sold out even before the print campaign started due to overwhelmingly warm welcome. Even analysts at the manufacturer couldn’t foresee the success. We even had to postpone print campaign for two weeks because the product was sold out without any additional marketing. First months have been a success and the product has been featured in many Estonian national publications.